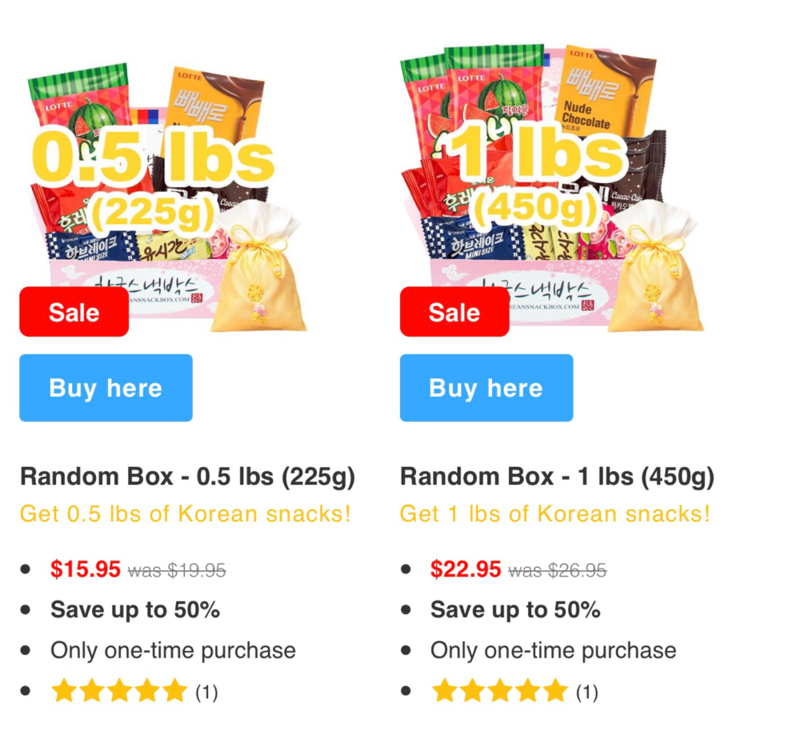 Korean Snack Box- contains k-snacks, Korean snacks, candy, chips, and more. 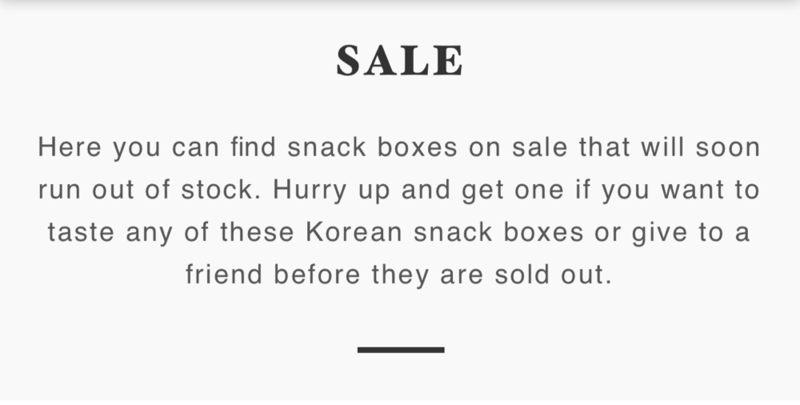 The boxes that are on sale are only on sale for a limited time. They ship almost everywhere ion the world. 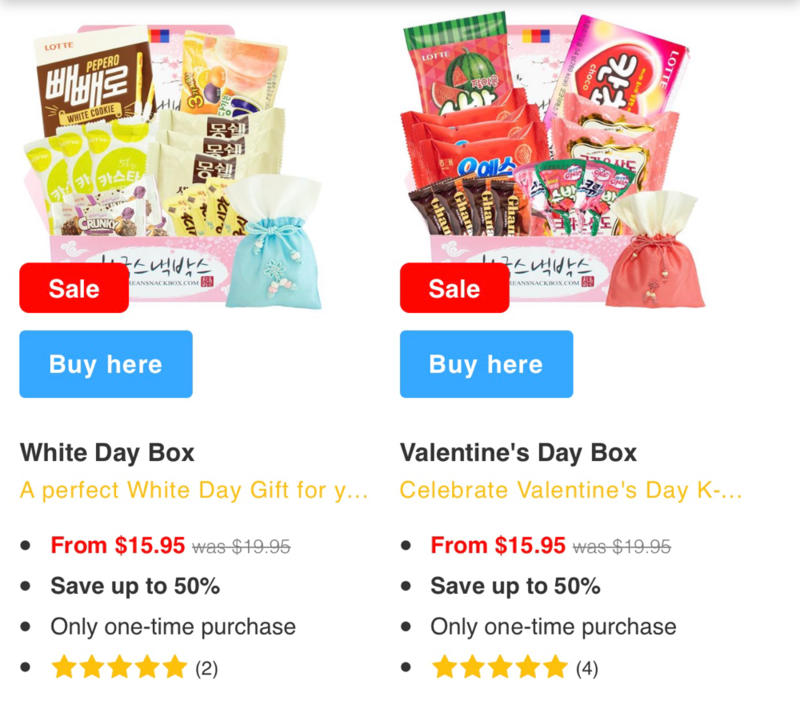 These four boxes are a few of what is on sale and the cost. Will you be grabbing a one-time purchase box?